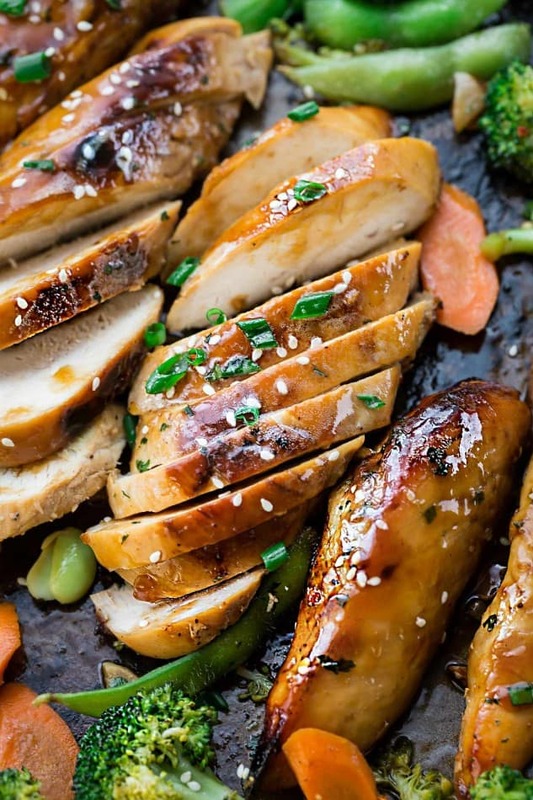 One Sheet Pan Teriyaki Chicken makes the perfect easy weeknight meal. 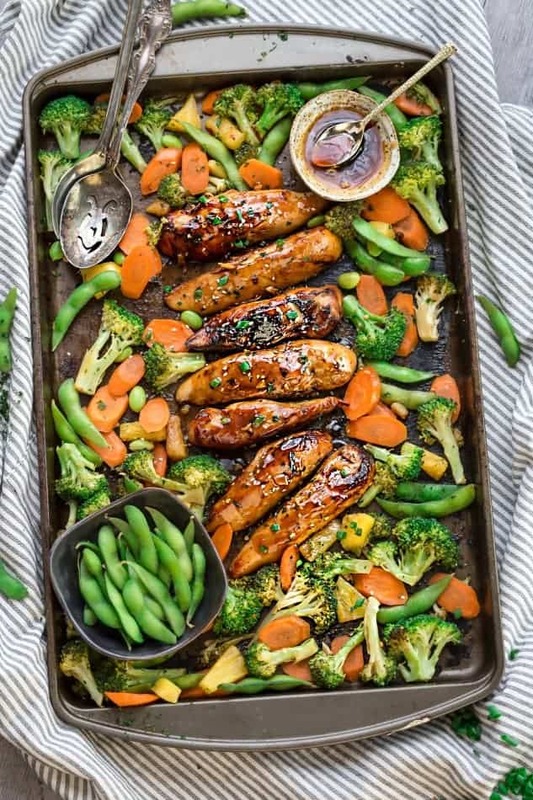 Best of all, this recipe is made entirely on one sheet pan with tender chicken, crispy vegetables and a delicious sweet and tangy Asian sauce. To stay up to date with my latest posts as soon as I post them, you can follow me on Feedly. 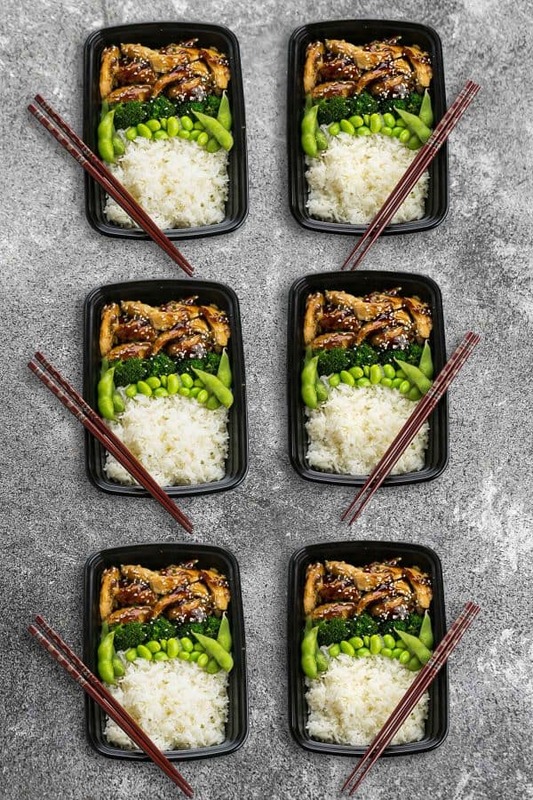 During the busy school year, easy one pot meals with minimal prep time are an absolute necessity. As much as I would love to whip up a fancy meal on a regular basis, having two little ones who are overly active just doesn’t allow it. So one pot and sheet pan dinners (Lemon Herb Chicken or Sheet Pan Teriyaki Salmon) are seriously the ones I turn to the most when I don’t have a ton of time to prep. They make clean-up a breeze and are perfect for busy weeknights. 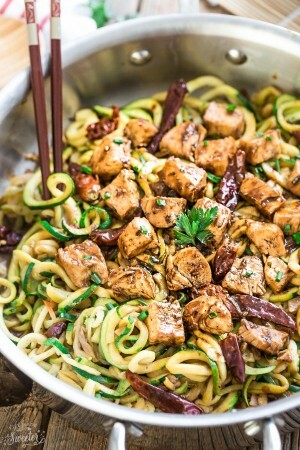 Toss in your choice of veggies and protein and you’ve got one simple and delicious meal! 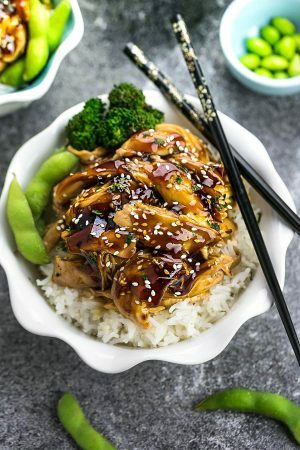 This One Pan Teriyaki Chicken is one of my very favorite meals to make. 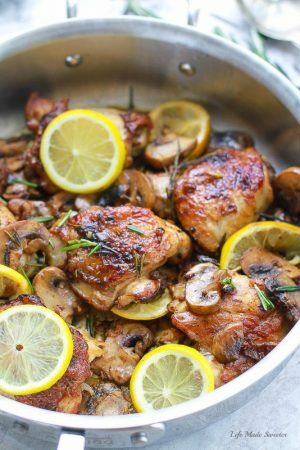 Just line a sheet pan with some foil or parchment paper and toss the chicken into the oven. My favorite part? 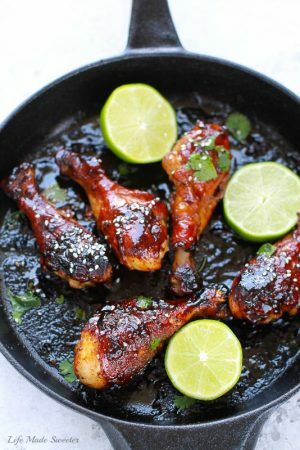 Totally that sweet and sticky homemade teriyaki sauce. If you’re in a pinch, you can absolutely use a store-bought one. But this sauce is just SO easy and tastes much better. Once the chicken is almost cooked up, add the veggies to the pan and toss it back into the oven for a few more minutes. By adding the broccoli and carrots near the end, it helps the chicken stay nice and tender. And the veggies roast up caramelized and crispy. My family absolutely loves anything with a sweet, tangy and savory combination so we always save some extra sauce for drizzling. 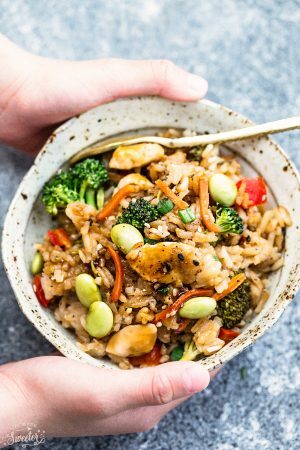 Enjoy this One Pan Teriyaki Chicken alone or serve it over your favorite rice or quinoa. Either way you choose, it will be so much easier and healthier than takeout! 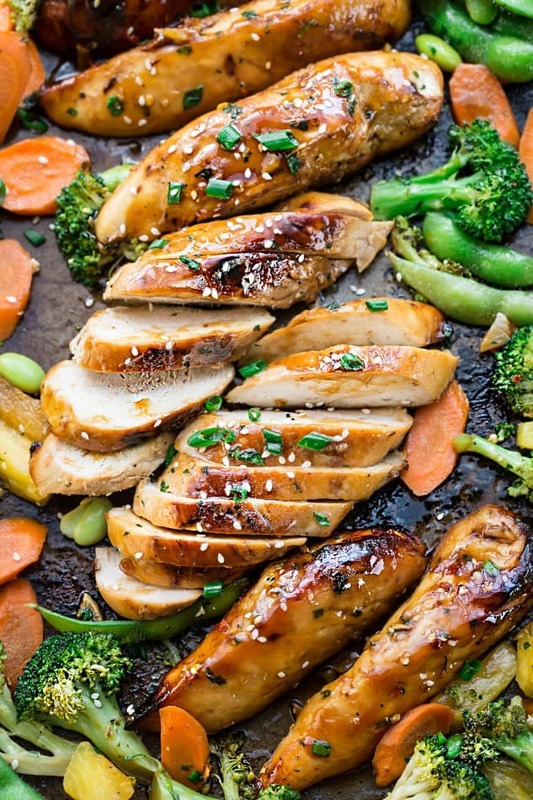 One Sheet Pan Teriyaki Chicken makes the perfect easy weeknight meal. 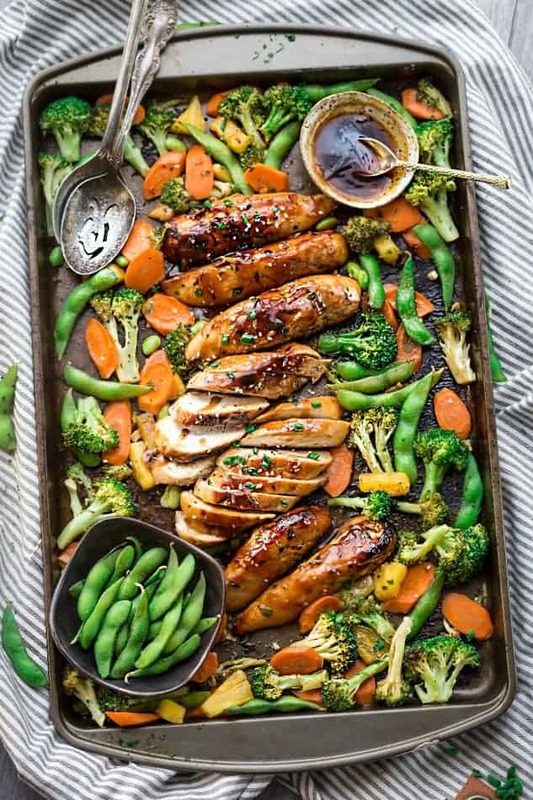 Best of all, this recipes is made entirely on one sheet pan with tender chicken, crispy vegetables and a delicious sweet and tangy Asian sauce. 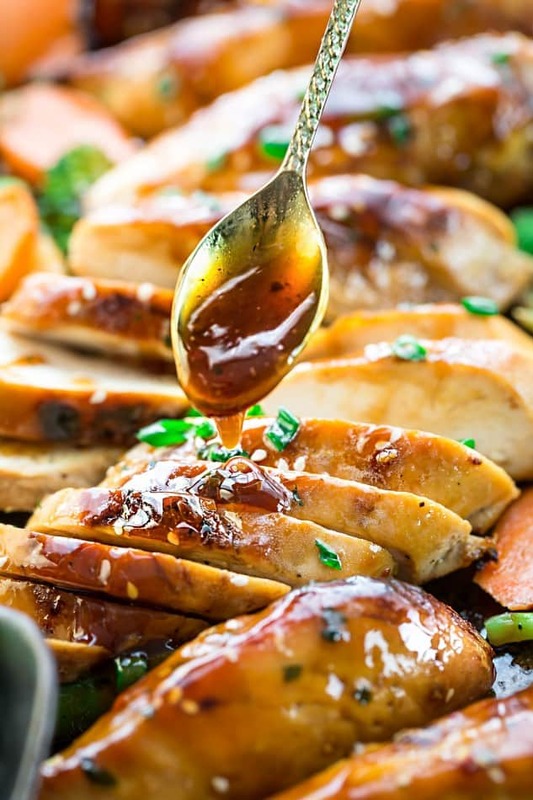 For the sauce: In a medium saucepan over medium heat, whisk together soy sauce, honey, vinegar, sesame oil, garlic, ginger, cornstarch and water until combined. Bring to a simmer, stirring frequently, until sauce thickens and bubbles. Remove from heat and set aside. For the chicken and vegetables: Preheat oven to 400°F. Line a large sheet pan with parchment paper or foil coated with cooking spray and set aside. Season each side of the chicken with salt and black pepper then drizzle spoonfuls of glaze over the chicken coating well on both sides. Reserve at least half of the glaze for later. Cook in preheated oven about 10 minutes then remove the pan. Top chicken with additional glaze, flip chicken and glaze again. Remove pan from oven, slice chicken into strips and drizzle with remaining sauce. Serve over rice or quinoa and garnish with green onions and sesame seeds, if desired. Cooking time may vary slightly depending on how thick your chicken pieces are.